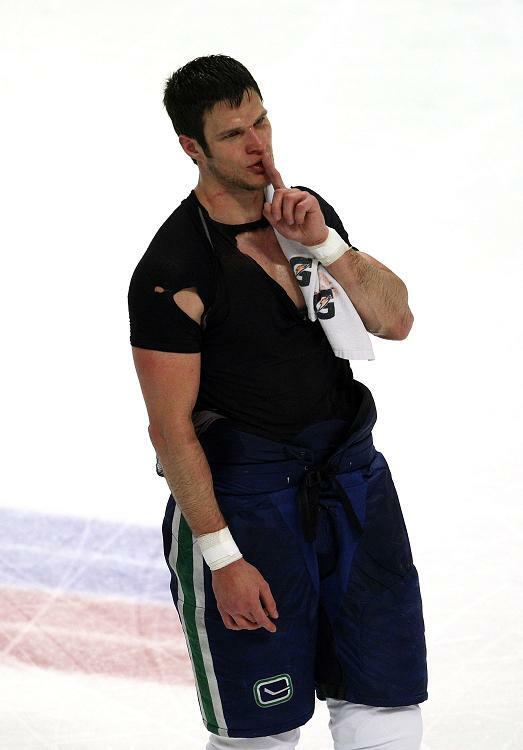 Kevin Bieksa ruffled Canucks fans’ feathers last year when he told the press how embarrassing it was that fans for visiting teams were louder at home games in Rogers Arena than Canucks fans. This, of course, caused a great deal of consternation and deliberation on Twitter and in the Vancouver press about the general listlessness of the crowd during home games. Many fans believe that high ticket prices mean the lower bowl is composed mostly of corporate ticket holders who are not “true fans” and, therefore, aren’t able to get excited enough to let out a cheer now and then. They also tend to be the first people heading toward the exits near the end of the third period, sooner if the Canucks aren’t winning. But on Tuesday night’s game against the Minnesota Wild, there was something different in the air at Rogers Arena. A group of about 75 boisterous Vancouver Whitecaps fans called the Southsiders showed up for the hockey game to lend their exuberance to the atmosphere in the arena with their trademark chanting, singing and cheering. 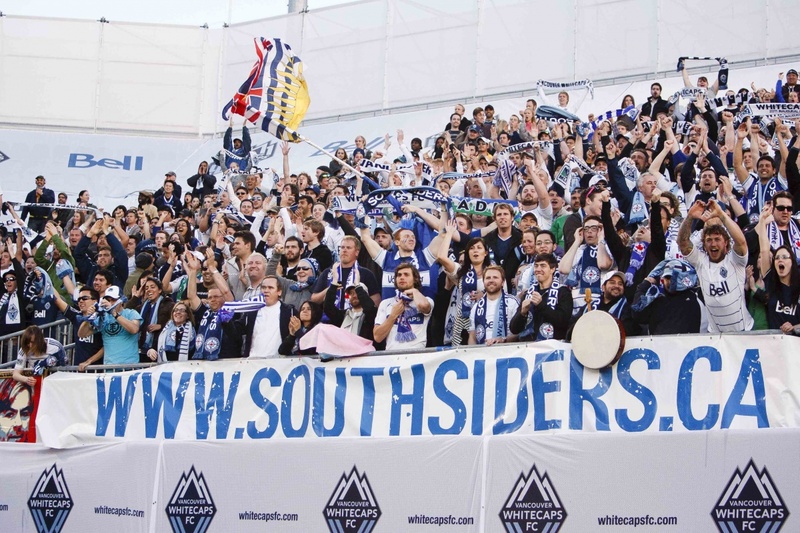 They wanted to show hockey fans how its done at Whitecaps games where they show up in much larger numbers to cheer on their favorite soccer team. Most Canucks fans at the game loved it. The Southsiders added some much-needed electricity and fun to the game. Their singing and chanting was loud enough to be heard on TV, and I’m pretty sure had something to do with the Canucks playing some the most exciting, fast-paced hockey of the night. I remarked how it looked like the Canucks were in a power-play for most of the first period, even though they weren’t. But all that enthusiasm and team spirit was just too much for Canucks security. During the first intermission, the Southsiders were told to sit down and stop making so much racket. I mean, people are trying to watch a hockey game, for goodness sake! How is one to hear the bone-crunching checks against the boards if there are hoodlums cheering and chanting. The group couldn’t understand why they were being told to sit down because they were located near the very top of the arena with only a cement wall behind them. But security was adamant they sit in their seats and pipe down. When two from the group protested, they were both evicted from the arena. So when fans started doing exactly what Kevin Bieksa was hoping they’d do, Canucks security kill-joys stepped in and put a stop to it. Finally, peace and quiet at the hockey game so people can get back to their phone conversations. What do the Canucks have against fun? And is it just the Canucks, or the entire NHL? The Green Men aren’t evicted from Rogers Arena for bringing props, doing hand-stands and making lewd gestures to taunt players in the penalty box. Is it because they are green mimes who don’t utter a peep? 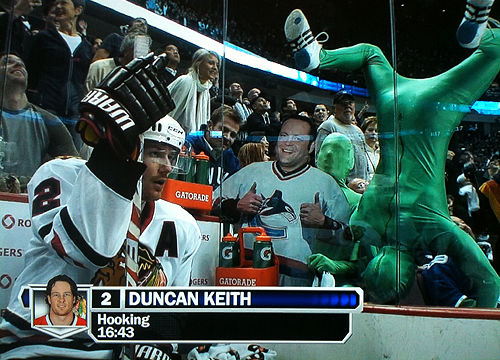 The NHL did attempt to crack down on the antics of the Green Men two seasons ago during the Stanley Cup playoffs. They wanted them to stop doing hand-stands and touching the penalty box glass. But the NHL backed off after the beat-down from fans who spoke out in support of their comical, unofficial mascots. 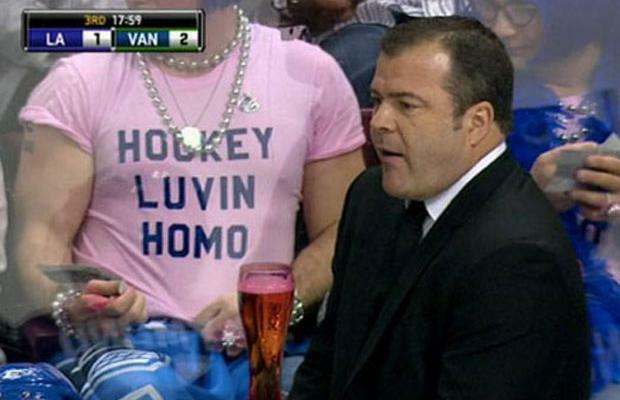 They were both evicted from the Arena when they refused to cover the word “homo,” which was deemed offensive and derogatory by Canucks staff despite the fact they were actually two gay Canucks fans. How dare they forget to add the letters “SEXUALS” after “HOMO.” Didn’t security staff realize those extra letters cost money? Those guys obviously spent all of their dosh to get those great seats. Back at the game with the Southsiders, a young man a few rows down from them pulled off his shirt and was evicted from Rogers Arena a short time later. Now, perhaps he was drunk and unruly, or standing and cheering too loudly. But as far as I’m concerned, I’d like to encourage young men to take their shirts off at hockey games more frequently. As long as they’ve been manscaped. Otherwise, throw the wookies out. So maybe the problem with crowds being eerily quiet at home hockey games isn’t entirely the fault of “corporate” fans. It appears that overzealous Canucks security is part of the problem. I guess the only time fans are allowed to make some noise in Rogers Arena is when they’re told to do so by the arena announcer. Maybe this embarrassing public relations folly with the Southsiders will force the Canucks organization to rethink its no-fun policies and to train security and arena staff to tell the difference between out-of-control assholes and lively fans. 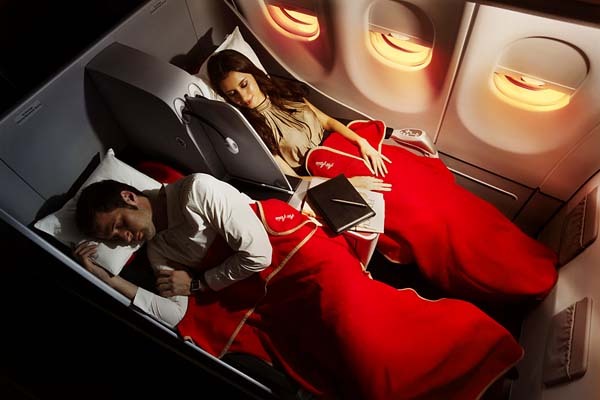 Otherwise, they should convert the arena seats into fold-out beds and provide pillows and blankets to make napping in the quiet arena more comfortable. And maybe replace that loud goal horn with something more soothing, like wind chimes. This entry was posted in Vancouver Canucks and tagged Kevin Bieksa, Minnesota Wild, Rogers Arena, Southsiders, Vancouver Canucks, Whitecaps. Bookmark the permalink. I have never seen an NHL game live due to the fact that I live in Switzerland. However, I watch them frequently on TV and one thing that I immediately realised when I watched that the fans aren’t really participating in the game. I mean, they cheer, but they don’t really have their songs or similair things. Here’s just two videos (I hope Im allowed to post the links) from my favorite team in the Swiss League (our stadium is the biggest in the country and can hold 17’131 fans and is amlost always completely sold out). Here you go: https://www.youtube.com/watch?feature=player_embedded&v=BRAdm57BpzI (that was before the 5th game in the play-off finals, which we later lost in game 7, but anyway) and that is just normal singing before a game https://www.youtube.com/watch?v=hccNcrdtvvE. Judge for yourself. Absolutely rediculous, factless article. The security did not tell them to be quiet. They told them to SIT DOWN DURING PLAY, as they tell ALL patrons of the arena. The guys that got tossed? They were over-intoxicated. Simple. The guy that said he only had one beer is lying. The security never tell anybody to be quiet, UNLESS the people in question are obnoxious, disruptive, vulgar and always are INTOXICATED. Try and get both sides next time. Man, any hack with an internet connection can write an article nowadays. Are you the security jerk who kicked them out?? You are wrong, security always tells people to be quiet no matter what. I’ve been to games when we weren’t even drinking, and we were told to be quite. Don’t come on here and say they don’t say that like you know them all or something because you HAVE NO IDEA. I can tell you they where not over-intoxicated. The member was kicked out because he was questioning the security personal over when he would be allowed to stand up, and I will assume they took him as mocking the rules and the security guards themselves. I was there with the Southsiders, and believe it or not, we have the ability to chant and “do our thing” (as it has been refered to so many times over the last few days) without the addition of alcohol, alcohol just makes it more fun. To Leslie Nope: And any hack with an Internet connection can also make an asshat out of themselves in the comment section. Nope, just somebody who can think rationally. Yes, I agree. Your thinking is rationed. Went to a game the other day, and was quite turned off by the “nazi granny” staff member who kept getting in the way of our view, and generally annoying all the fans in our section with her constant “circling” trying to catch anyone leaning a little too far forward, even during breaks in the play. It got to the point where people were yelling “down in front” at her. From this, and previous experiences at the “rog” or “GM place” I have no problem accepting this story as truth. “Manscaped?” What’s wrong with natural men’s bodies?? Yuck…do we have to look like women now? Manscaped doesn’t mean shaving all of your hair off. I don’t like that, either. But if you look like a wookie with your shirt off, a pair of electric trimming shears can be your friend. It’s the difference between plucking your eyebrows to look like Joan Crawford and trimming the unibrow a little so you don’t look like a Neanderthal. I’d like to see anyone try to shut up the boisterous fans at La Centre Bell during a Habs game. Most games are LOUD. And I’m not talking about the huffs and the puffs of the players. The fans in Montreal, during most games, know how to rock the house with chants, cheers, standing ovations, and I even once heard some yodeling (defenceman Diaz is from Switzerland). I beleive it’s the loudest barn in the league. Certainly louder than Florida – maybe because NO ONE goes to the Sunrise Center. The games there are empty. Of noise and people.